That is my question! So many students and parents ask for instruction on basic Algebra. But... Algebra is NOT Basic! It can actually be very complex. 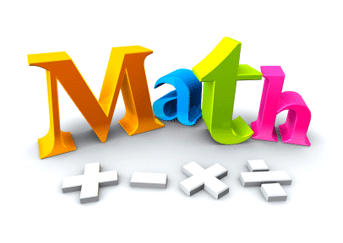 There are a few basic skills that you must MASTER before diving into the heart of Algebra. Most of these skills you learned in your Pre-Algebra course, but I'll review them here. If you're not sure if you need to review the basic skills, take the Algebra Readiness Test! It's only 30 questions and it won't take you long! Remember... math has a spiral effect. Each new skill builds on a previously learned skill. So, at least review these topics if you need to freshen up on your Algebra skills. Below you will find the lessons and practice problems for the unit. Click on the topic that you need help with or follow along in order for a complete study of skills that you will need to be successful in Algebra 1. If you find that you need more practice or more in-depth instruction on these topics, then don't miss out on my FREE e-course and video tutorials on Algebraic Expressions. You will find video tutorials and a lot of practice problems for integers, algebraic expressions, the distributive property, matrices, and formulas. Return from basic algebra to home.